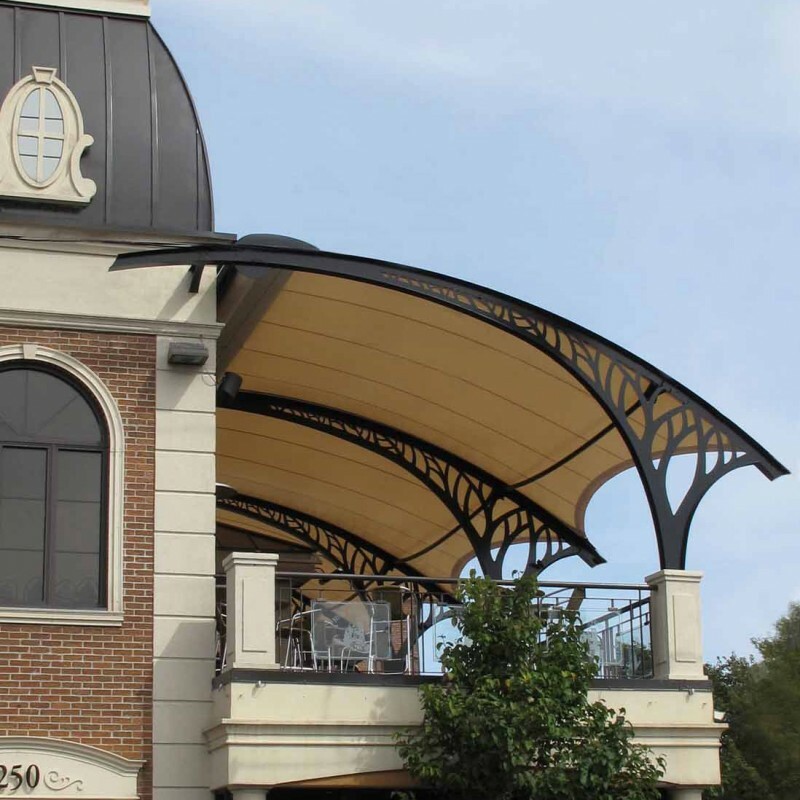 The Bistro de la Gare project was our third collaboration with Sollertia, a company that specializes in tensile fabric architecture. Our expertise in the design and construction of portable structures contributed to the quick and effective set up of this project. 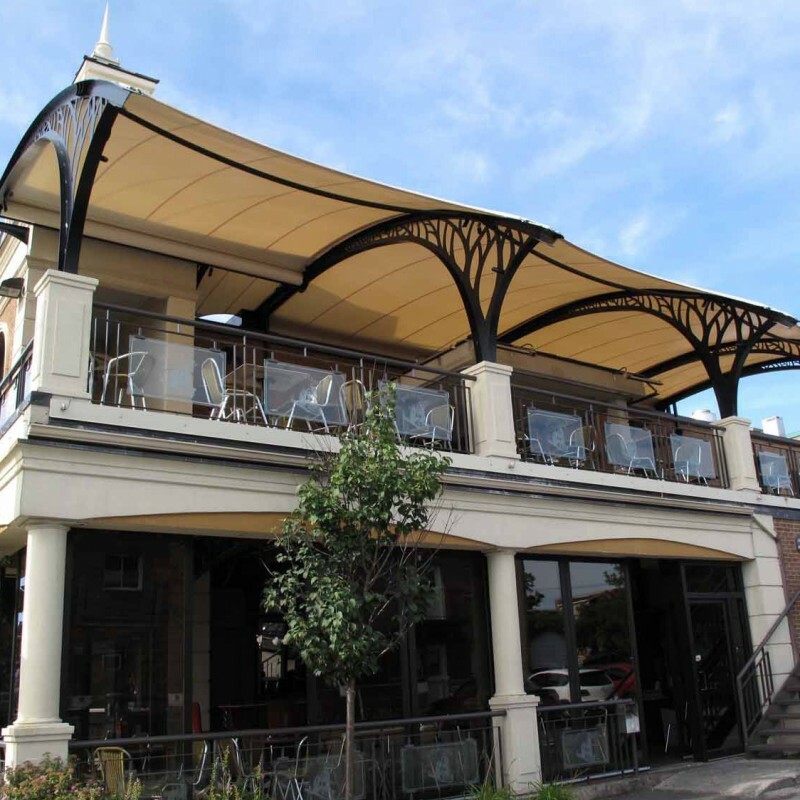 The project consisted of four retractable roofs over a terrace located on the second floor of a restaurant. We built the structural elements and our goal was for them to look elegant while also integrating all the necessary accessories that would allow the tensile to roll in and out without any complications. We used precise laser cut work to assemble the arches in our shop. Each arch had openings to receive the different elements that would enable their movement. Once assembled and validated, the elements of the framework were sand blasted and powder coated for a long lasting finish that would be weather-resistant. To allow the deployment of the roof structures, we created four motor units with different layouts. We designed and built the bases that would be installed on the roof between each arch, as well as rain hoods to protect the motor and membranes when they are retracted. Street view of the terrace. The arches differ depending on the location of the roof system. Want to find out more about the technical elements of this project?